Excell helps customers keep their inventory organized and most efficient by offering customizable ordering, packaging, and delivery options. We work with blanket orders and can supply multiple deliveries over the period of time you need. This is often the best option for parts that are needed over an extended period of time. By ordering the parts in bulk, it reduces the per piece price and is often a far more cost-effective option than multiple orders of smaller quantities. This can also be a more reliable and flexible way to schedule deliveries all while simplifying paperwork and reducing processing time. We help our customers keep their inventory organized and efficient by securely packaging parts with clear labeling. 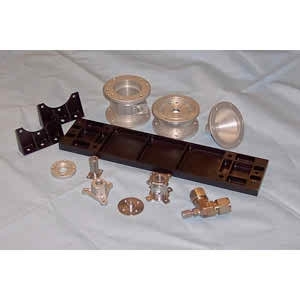 We also provide prepackaged kits of parts for clear inventory and later assembly after delivery. By having parts delivered kitted, it can help reduce the likelihood of lost parts and the associated costs, makes it easier to keep track of projects, and reduces the time needed at the point of assembly. Making your projects simpler and more efficient is what we do. At Excell, our solutions make your project easier from beginning to end.